Kimi Raikkonen will be hearing a new voice over the team radio next season after Ferrari announced that Italian Antonio Spagnolo would be race engineer to the returning 2007 World Champion. How much assistance he will need remains to be seen. The taciturn Finn is well known for doing things his own way, famously telling his race engineer at Lotus in 2012 to “leave me alone, I know what I’m doing” while on his way to victory in Abu Dhabi. The quote has gone down in Formula 1 legend, emblazoned on thousands of T-shirts. Raikkonen won his title with Ferrari, before making way for Fernando Alonso at the end of the 2009 season and moving to rallying for two years prior to a comeback with Lotus. 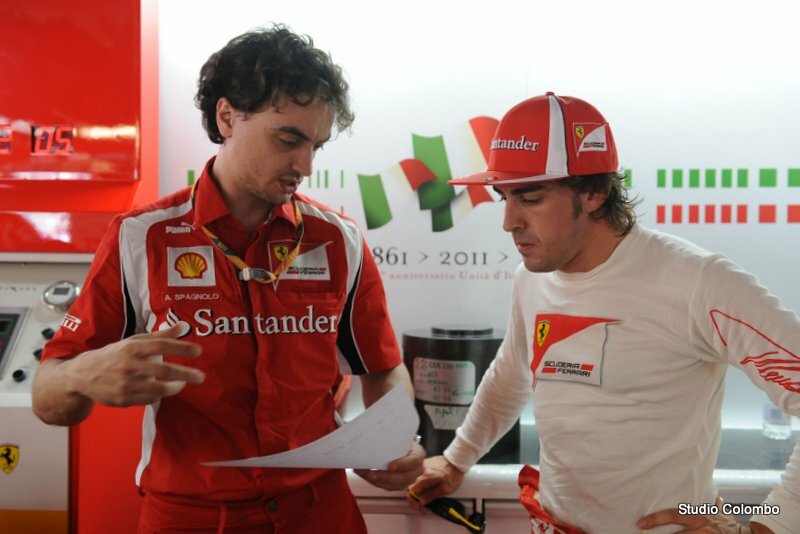 The Finn’s race engineer from his last Ferrari period, Italian Andrea Stella, is still with the Italian team but has since forged a close working relationship with Alonso. Ferrari’s announcement means change for Britain’s Rob Smedley, a familiar voice to television viewers worldwide as race engineer to Raikkonen’s long-suffering Ferrari predecessor Felipe Massa. Massa has moved to Williams and Smedley could join him there in a new technical role, although he has also been linked with McLaren. Raikkonen missed the last two races of this year after having back surgery, but Ferrari’s website said that he had visited the Maranello factory on Tuesday to catch up with old friends and discuss the 2014 car. Formula 1 drivers are spending the last days before Christmas coming up with the numbers they will carry for the rest of their careers at the pinnacle of the motorsport. After the FIA kicked off the selection process, telling drivers they should name their top three picks between 2-99, it has already emerged that Force India’s Sergio Perez has plumped for number 11. 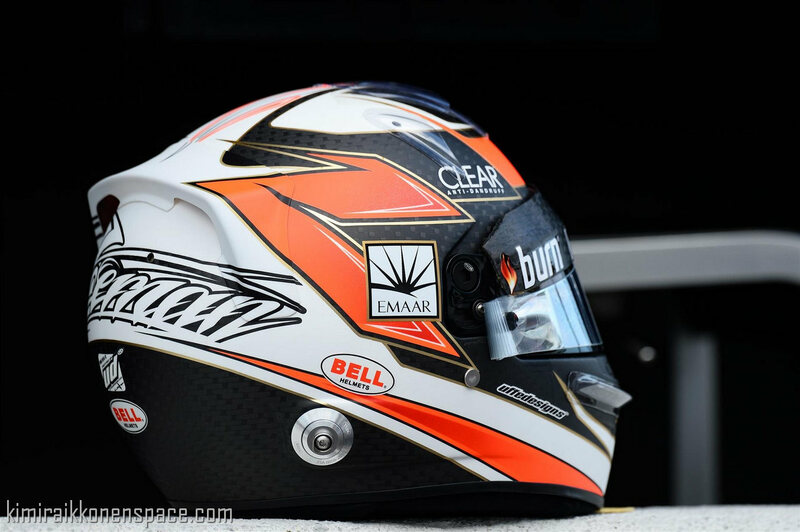 Finland’s Ilta-Sanomat newspaper said that Kimi Raikkonen has picked the number 7 to wear on his helmet and Ferrari next year. It is believed Fernando Alonso considers 14 to be his lucky number, Jean-Eric Vergne wants the iconic 27, and Nico Rosberg has asked to carry number 6, which was raced to the 1982 title by his father Keke. Now, adding the hashtag ‘Bo77as’, Williams driver Valtteri Bottas has told his 49,000 followers on Twitter that he has put down 77 as his first choice. Felipe Massa has nominated the number 19, but others – like new Red Bull driver Daniel Ricciardo – aren’t saying. Ferrari is likely to miss Williams-bound Felipe Massa, according to Fernando Alonso, the Brazilian’s teammate of the last four seasons. The Spaniard is wary of his new teammate, famously a man of few words, Kimi Raikkonen. For 2014, after a period in which Alonso was regarded as the clear number 1 at Maranello, the Italian team has signed up its previous World Champion, Kimi Raikkonen, to replace Massa. Alonso, who said that he counts Massa among his few friends on the Formula 1 grid, pushed to keep the 32-year-old on board, but ultimately must now face the prospect of working alongside the famously cool and odd Finn. “I don’t know Kimi, but the reports say that he speaks very little and is a bit more isolated. 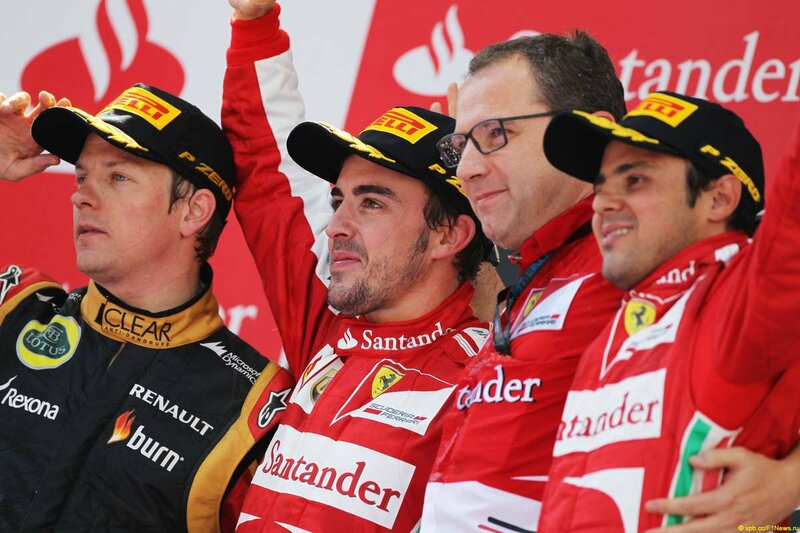 So I think that Ferrari could miss [Massa],” said Alonso. However, Alonso played down the prospect that a bad working relationship between himself and Raikkonen – like the one between former Red Bull duo Sebastian Vettel and the retiring Mark Webber – will hurt Ferrari. “What we have to do now is focus on making a good car in the winter,” he insisted. “If it’s good, like the Red Bull, it doesn’t matter if there’s ‘Multi-21′, ‘Multi-35′ or anything like that, because the atmosphere in the team will be great,” Alonso added. James Allison’s first term as technical director of Ferrari is coming to a close. However, unlike school, there are no report cards to be awaited with trepidation, although it’s still a good opportunity to have a quick chat with Allison and get his first impressions at the start of what is his second stint at Ferrari, coming at a time that is particularly challenging for all Formula 1 engineers. “I definitely haven’t spent time going into the details of the design of the new car, as it wouldn’t make any sense at this stage,” Allison declared. As from 2014, the engine will once again play an important role in establishing a hierarchy among the teams, as was the case up until 2006. “It’s true that the influence of the power unit on overall performance of the car will be much greater than in the recent past,” continued the engineer from Lincolnshire. In fact on this front, Ferrari has invested heavily in terms of manpower and technical resources, as Allison recognises.